New details on the foldable Samsung smartphone have been revealed by SamMobile. It says that details about the storage capacity of the handset have appeared online. Specifically the model number SM–F900U will come with an impressive 512GB of internal storage. This could suggest the phone will be a unibody build with no slot for microSD expansion. Other details reveal that the foldable phone should be available in two colour variants of Silver and Black. Nice and simple for making a choice there then. Samsung has already revealed the the phone's screen which it calls the Infinity Flex Display. This is a 7.3-inch OLED which folds in half and will be backed by another smaller screen which comes on when the phone is in folded mode. 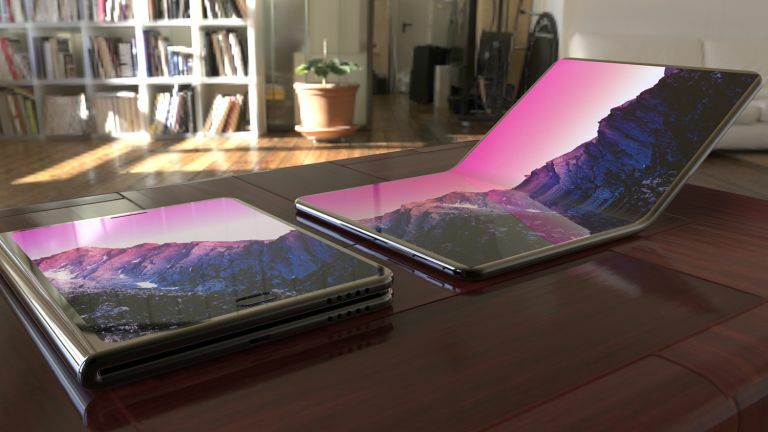 Samsung should reveal the foldable handset officially early in 2019 where it is expected to get a £1,000+ price.